I promise they will be so thrilled! Both of my boys were born in July, and we celebrated their birthdays together. Pinterest was my source for inspiration. 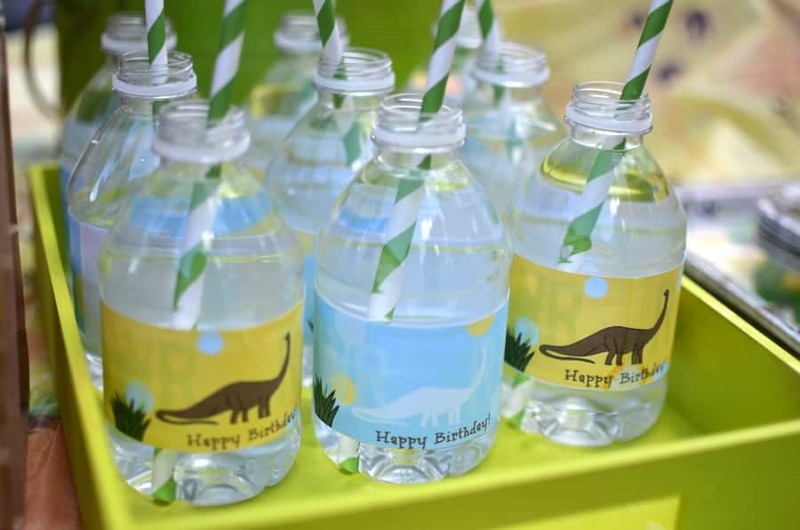 Found some very cute dinosaur related party ideas for a Dinosaur Party. I also spent some time- YEAH -designing cute printables, that I am sharing with you here. 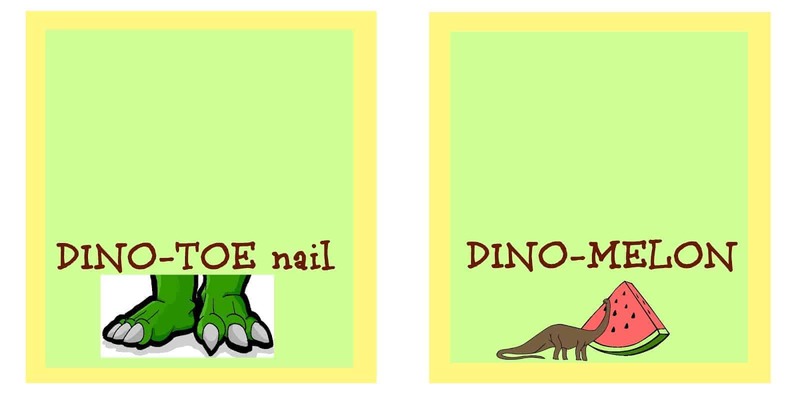 They are FREE to download and print for your next Dinosaur themed Birthday Party. 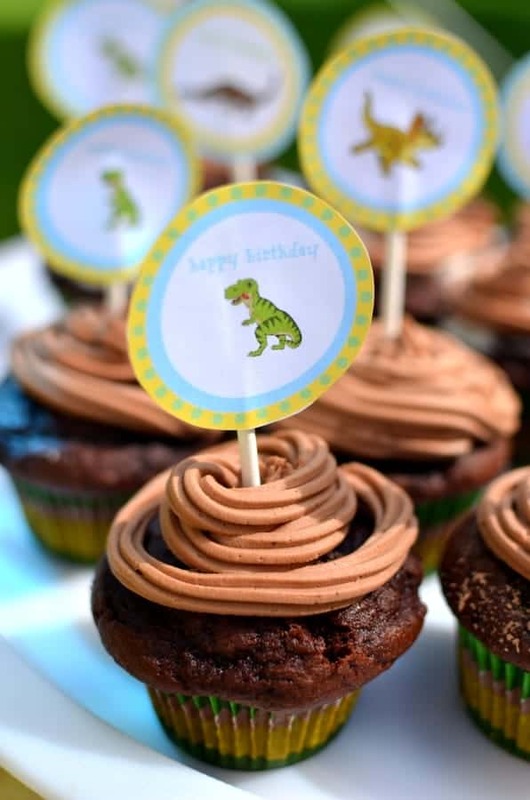 They turned out cute when I printed them and dressed up all the cupcakes, the little water bottles, and the DINO themed snacks with them. 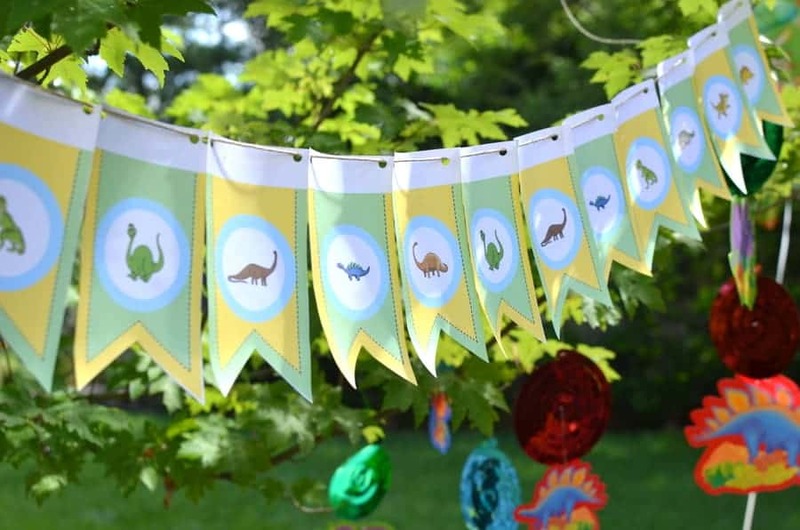 The DINO banner was made out of separate paper pieces. I punched a small hole on each piece and hung them on twine. The water bottle sign was just perfect. Oh…and this Watermelon Dinosaur was a big hit. It was super easy to shape, and it looked just like a dinosaur head. I bought BUGLES corn nacho chips at the dollar store and turned them into DINO toenails. 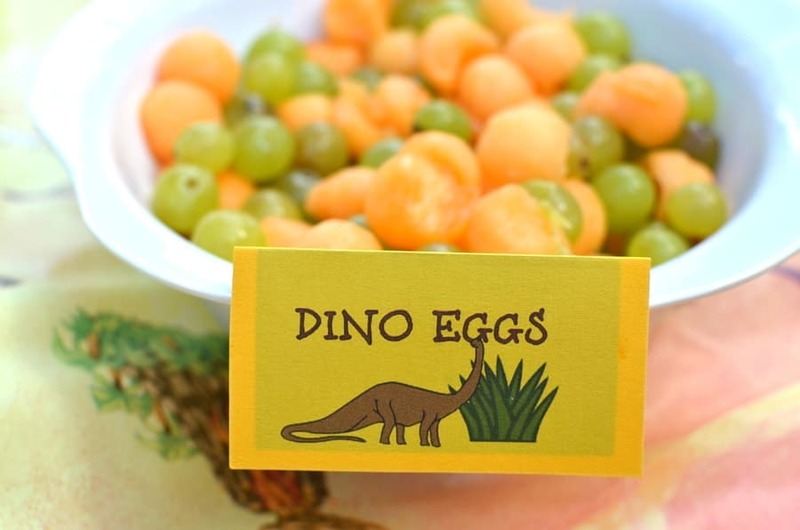 Shaped cantaloupe and honey melon into little balls to look like DINO eggs. 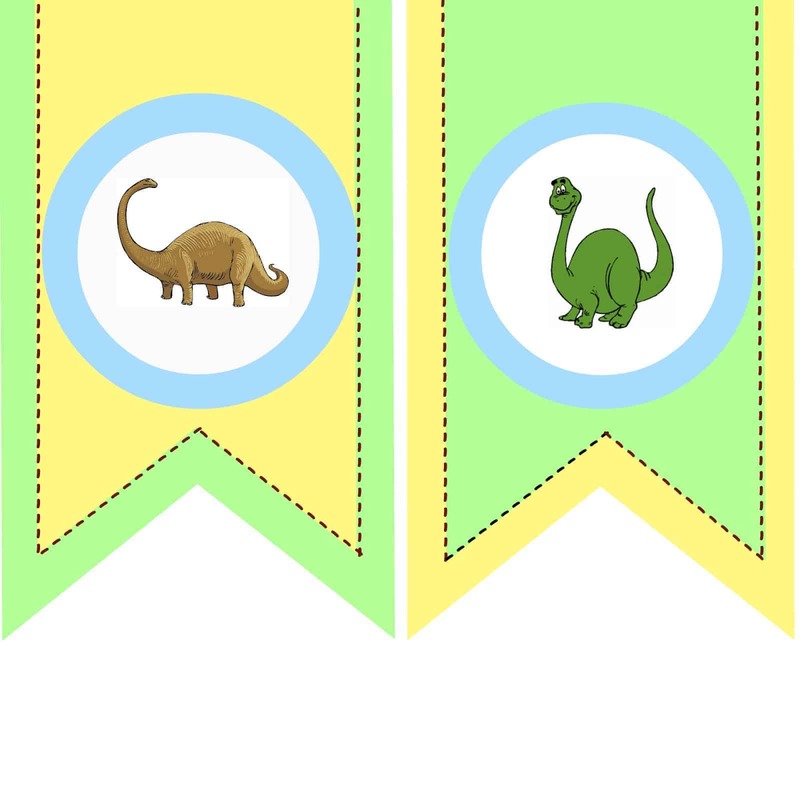 The cupcake logos turned out super cute with the different dinosaurs added to each logo. I glued the printables to a white stick (purchased at Michaels, cake section). to make up the PARTY FAVORS. Filled the paper bags with dollar toys and goodies, small dinosaurs, pencils and dinosaur notebooks. 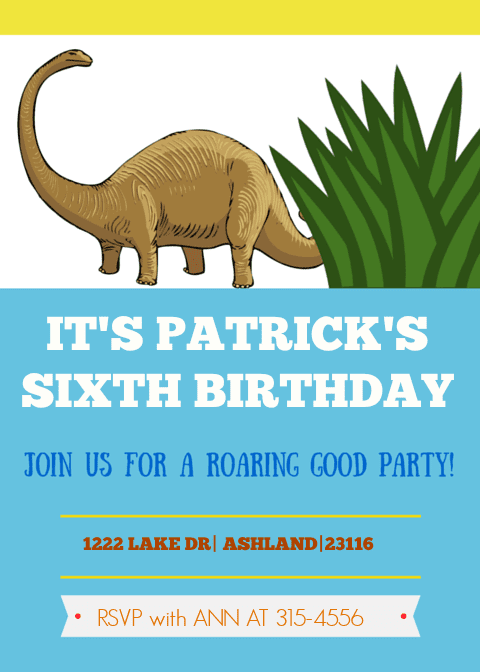 Are you ready to throw your Dinosaur Party? Click on each image and it will take you to a site where you can download them! Would you like to get a matching CUSTOMIZABLE INVITATION CARD WITH YOUR PRINTABLES? 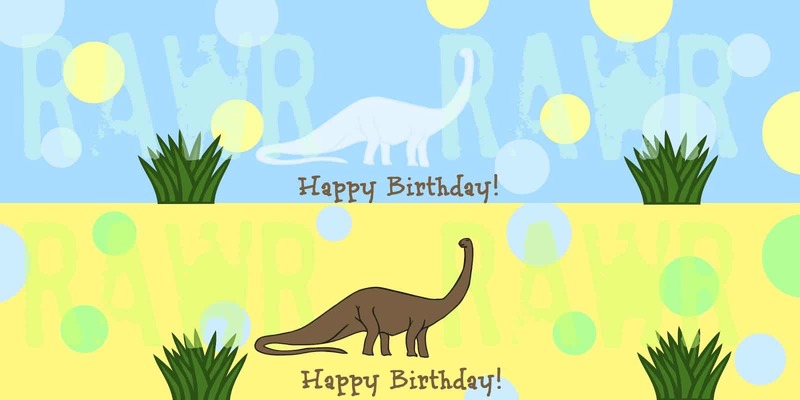 Click Here to get your DINO PARTY invitation card! Did you like these printables? 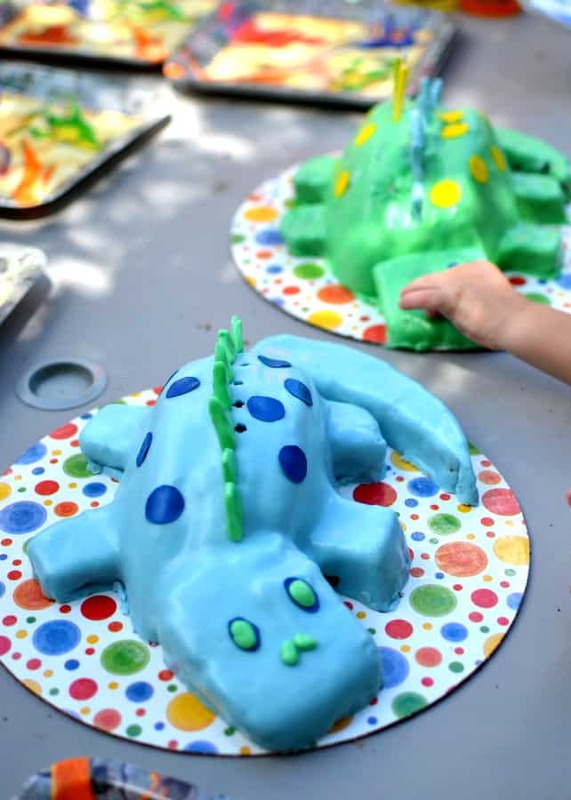 To end this post, I wanted to share the cutest Dinosaur Cakes. My boys loved them. 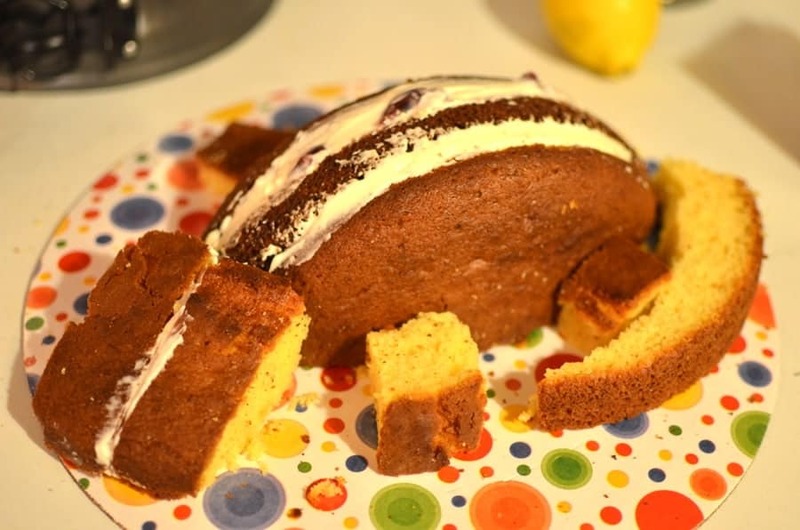 I made two identical shaped cake, just to make sure there is no fight over it…one blue and one green. Baked a round cake and cut out little pieces to shape the dinosaur. Made one vanilla flavored and one chocolate flavored cake. Covered it with homemade fondant. 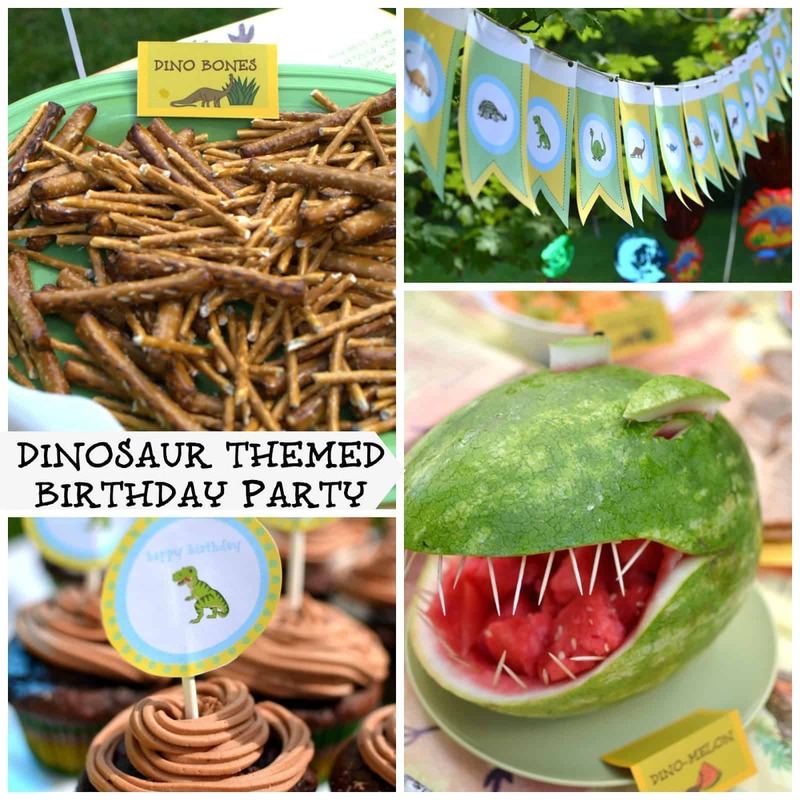 I hope I inspired you to make the best Dinosaur themed party for your next Birthday party! and here are some more FREEBIES for you! The watermelon is too cute! How fun! 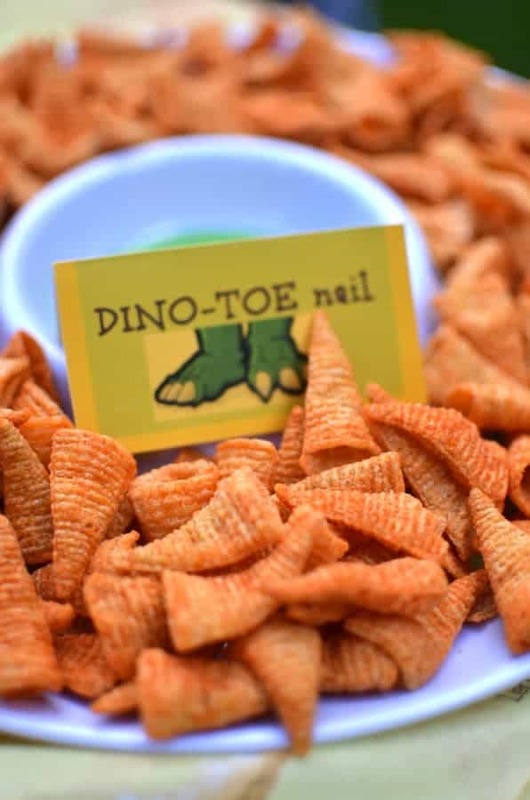 I love the dino-melon and the bugles as dino toes! Awesome job!! Nicky, thank You! I am glad you liked it!I just linked up and followed on Pinterest! What a great theme! So unique and fun! If you have any desserts you love, we'd love for you to come over to our newest link party over at The Inspiration Network: DELISH- a desserts only link party. Bring your desserts and let's party!! Just linked up , Ladies!Thanks for hosting! Oh my goodness, this was such a cute party – wow!! The details are awesome! I am going to pin a ton of pictures to my birthdays board and share this on my facebook page tomorrow. You truly did an awesome job!! Awh, Krista..THANK YOU!My boys were thrilled:-)Thanks for sharing! 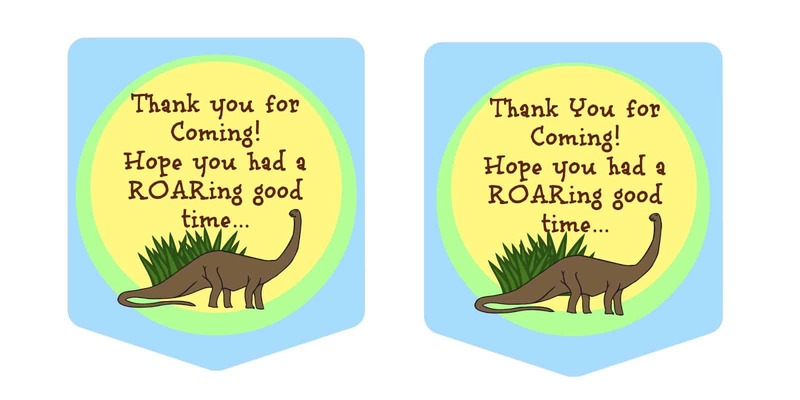 Stumbled on your post when I was searching for printables for my son's dinosaur party in 2 weeks – love this!! 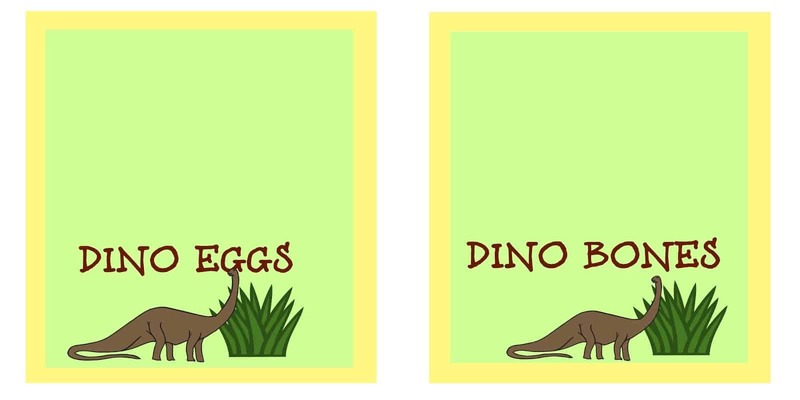 So excited to use the favor bag printables and plan on using your ideas for the dino bones and eggs. So creative! I'm going to make dinosaur shaped crayons to go in the favor bags along with mini dinos and dino egg soaps. Thank you so much! Fantastic! 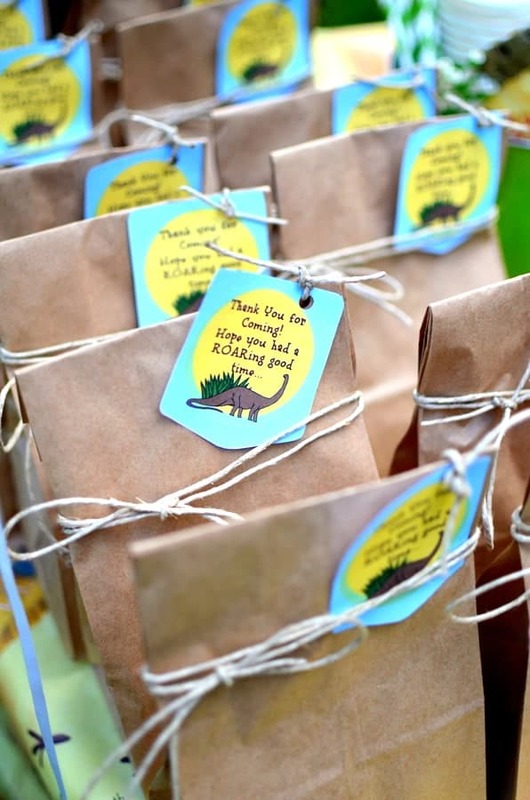 I am glad you can use the favor bag printables! 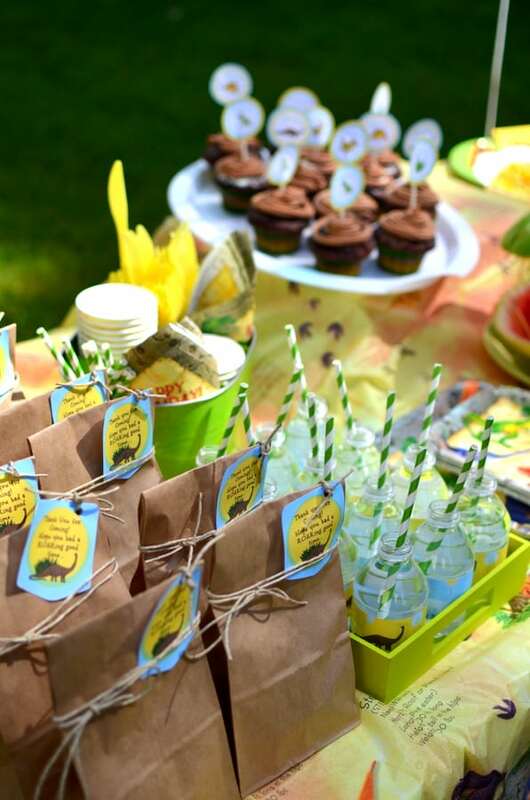 My kids and guests loves the party and I thought the favor bags were so simple but so cute with the tags! I hope your party will be a big hit just as our party was! Happy New Year! Thanks for posting the printables. Such a cute party, I’m sure it was a big hit. I’m planning to host one for my little one. 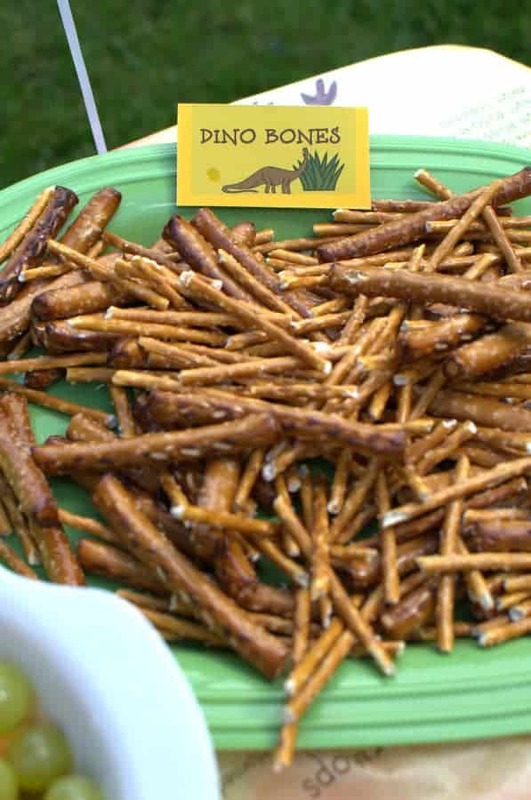 Can you share what games/ activities you had for this dino themed party? Thank you so much! 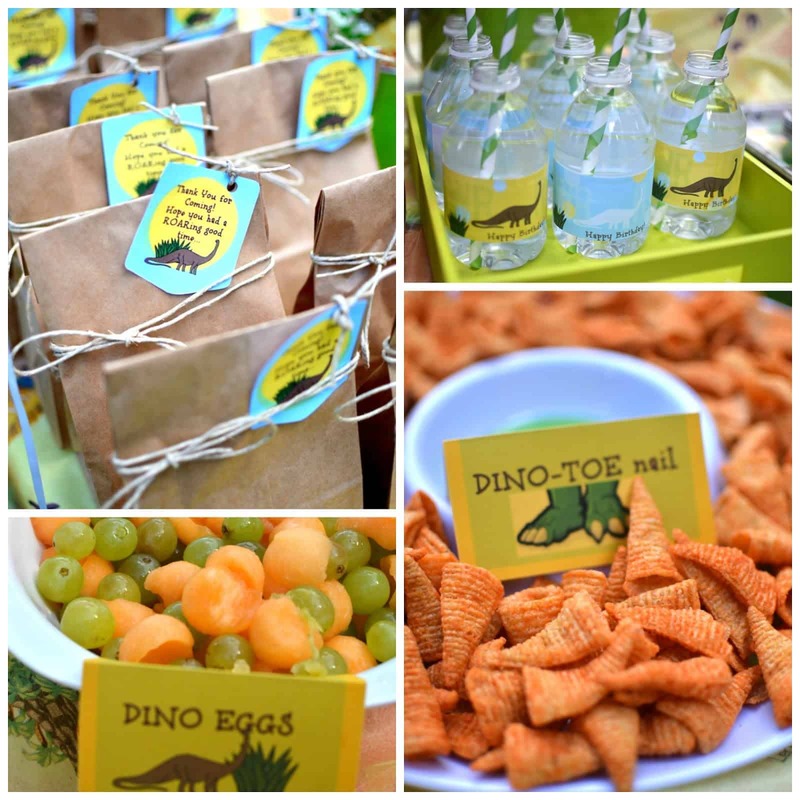 I was drawing a blank on party food for my son’s dinosaur party until I stumbled on your site via Pinterest! I LOVE it and the free printables are AWESOME! I’m planning a 3rd birthday for my twin daughters this Sunday. 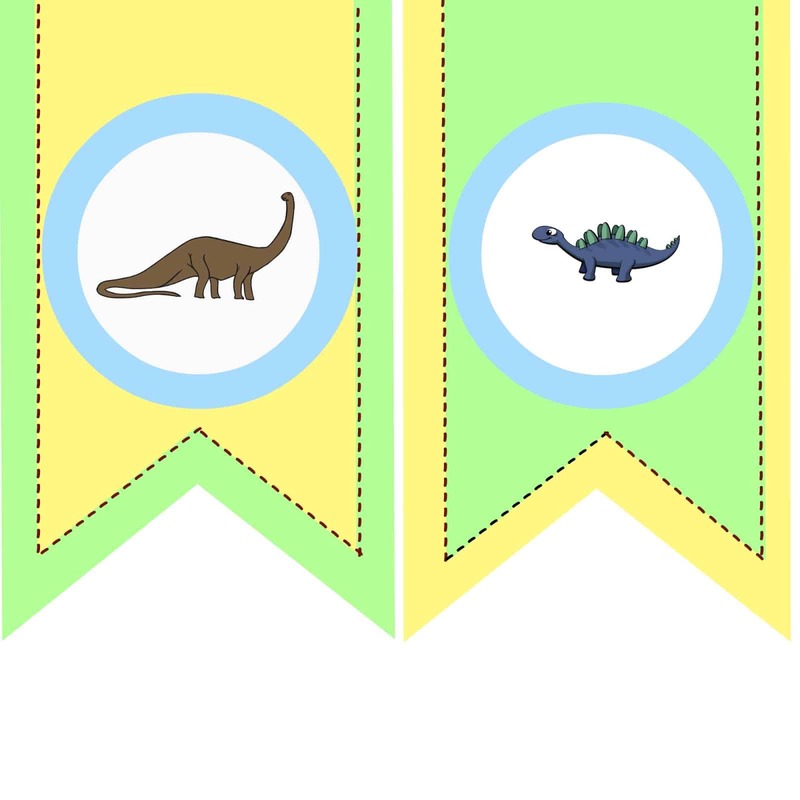 They are crazy for dinosaurs and I just downloaded all the printables. Wow. They are fantastic and this is truly one of the best sites I’ve come across in a very long time. You’ve given me a ton of ideas and the tools to make this party so wonderful. Can’t wait! I am so glad to hear that these printables were useful for you!I am planning my kids birthday party with fun with printables for the next month, so stay tuned:-)Have a wonderful day! My son turns 8 on the 15th of this month and his party is on the 16th. I will be using your ideas and printables. Thank you so much! This is going to be so much fun!! Can you tell me how to download the food labels? They are not appearing in the printable link. Wonderful ideas! and the printables are amazing!! did you have a printable for the invitation card as well? Thank you very much for sharing!!! this is sooo cute I am excited to use them for my son’s 1st birthday! Thank you very mush for sharing the templates! definitely a lifesaver! a wonderful ideas by the way. superrr love your version of Dinosour party! ^^, Thanks agai! Glad you can use these! It was a fun party for sure! Gave a great night! Wow! That Dino-Melon is awesome! It’s very creative and so cute! 🙂 Thanks so much for your visit! thank you. thank you. thank you. these are perfect. my son will love them!!! you are very talented. Your printables are great! With a little pink or purple and some well-necessary glitter, they will be perfect for my daughter’s dinosaur birthday in October. She loves dinosaurs, so her 4th birthday will be dinosaurs! 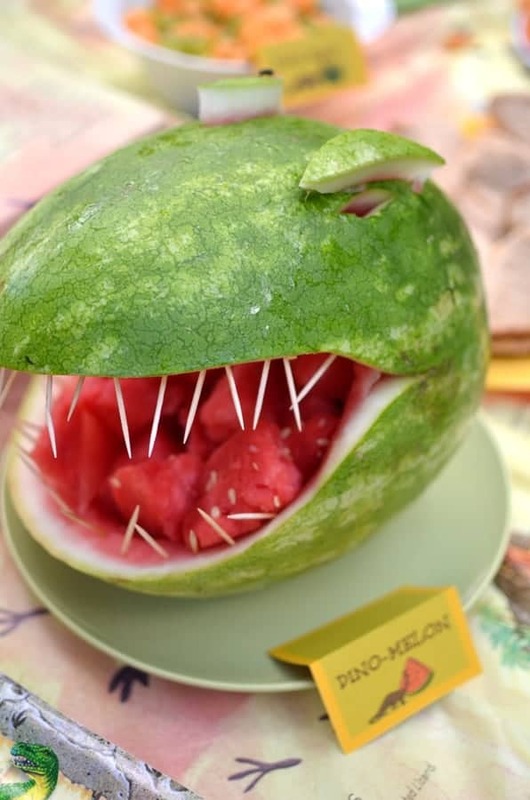 I am going to attempt the watermelon dinosaur as well. We will see about the cake. Your cakes for your boys turned out adorable! Thanks for some great inspiration! Hi there! Very cute Dino party! Thanks for sharing your ideas and the free printables. I will be using the little flags and thank you tags next weekend. 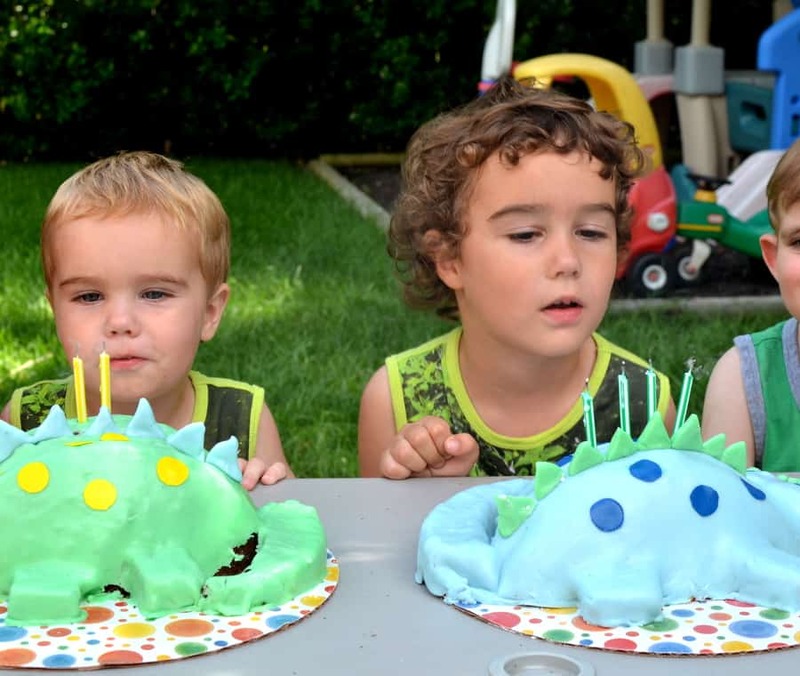 My daughter turns 4 and my son turns 2 (both in May) and they are having a joint dino party. Please can you tell me how you tied the brown paper gifts bags as it is done very nicely.